This CD features a quiet quartet that is often filled with inner tension and low-volumed heat. 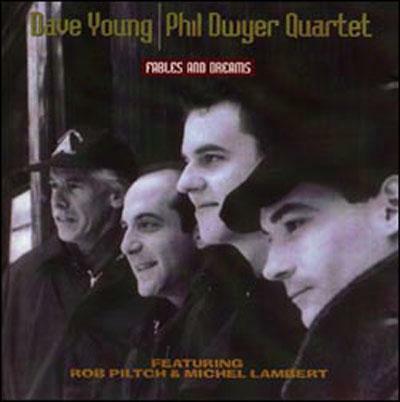 Bassist Dave Young engages in close interplay with guitarist Rob Piltch (whose tone is sometimes reminiscent of the late Jimmy Raney's), Phil Dwyer contributes lyrical tenor solos and some moody piano (sometimes sounding a bit like McCoy Tyner on the latter instrument) while drummer Michel Lambert is fine in support. Five of the nine songs are originals by bandmembers while the other pieces (including an abstract "All of Me") almost sound like new compositions; the closing tenor-bowed bass duet on "Whims of Chambers" is most memorable. This well-played set does serve as a a good example of today's modern mainstream acoustic jazz.